Welcome spring with a trip to the fairies' blooming garden. 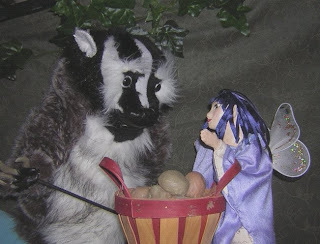 Margaret will perform "Badger Meets the Fairies" on March 21st at 2 pm, Arlington Center for the Arts, 41 Foster Street, Arlington MA. Tickets are $5. Please stay for puppet-play and coffee after the show.